I highly Dr. Bemanian, very knowledgable makes you feel comforable and very clear treatment plan. Thank you Dr. for beingamazing. Dr Bemanian has an excellent bedside manner. Explains everything and validates your concerns. He's highly recommendedby colleagues and I've seen why. I'd highly recommend him as well. Dr. Shahrooz Bemanian received his medical degree from Chicago Medical School. He completed his training in Internal Medicine at the University of Southern California. During his clinical training, he was the recipient of multiple awards including Resident of the Year Awards, American Liver Foundation/American Association for the Study of Liver Diseases Resident Scholar Award and the USC Sabina Brautbar Resident Scholar Award. He was heavily involved in clinical research, and his work was presented at prestigious professional organizations including Americal College of Physicians, Digestive Disease Week and American College of Gastroenterology Annual Meetings. He has had multiple publications in peer-reviewed medical journals including Gastroenterology and Digestive Diseases and Sciences. Upon completion of his residency training, he served as Chief Resident in the Department of Medicine at the University of Southern California. He subsequently completed a fellowship training program in Gastroenterology and Hepatology at University of Southern California which included a vigorous traning program in Liver Transplantation. 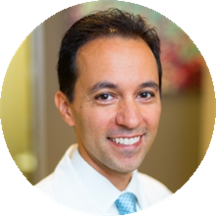 Dr. Bemanian is double-board certified in Internal Medicine and Gastroenterology/Hepatology. He joined the medical staff at Hoag Hospital in 2009. He is well-trained in all fields of Gastroenterology and Hepatology and has a special interest in colon cancer prevention, stomach and esophageal cancer detection, hemorrhoid treatment, non-surgical weight loss treatment as well as Advanced Biliary Interventional Endoscopy. He incorporates the latest technology in his endoscopic procedures in diagnosing, preventing and treating gastrointestinal disorders including esophageal, gastric and colon cancer. Download the New Patient Forms in one convenient PDF.